I have no idea how to tune it up, let alone play it. But there was something about seeing a whole bunch of mini guitars that made me want one. And especially in purple. 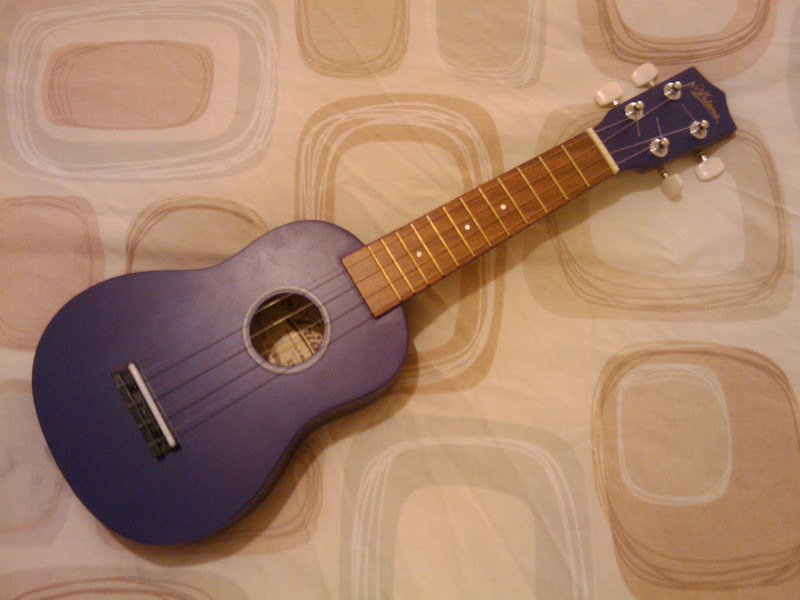 So I went into the music shop, gave the staff a big smile and told them I would love a purple Ukulele. I then spent the rest of my lunch break in the car searching You Tube on my Google phone for instructions on how to tune up a Ukulele. I got some odd looks of Joe Public as they walked by. But in all honesty they were probably jealous. Well they say things happen in threes. So to keep the tradition alive I went on to enter into a raffle with Sainsburys for a 42″ plasma TV and then brought some Foxes Double Crinkle Crunch Cream bickys. So three slightly naughty impulse buys. So time off. YAY! Time to do all those fun domestic chores and have a lie in.